Not the fastest hunter but very methodical and reliable. She was biddable and had a kind temperament, but could be stubborn at times. She was determined to locate dead quarry and had a lovely soft mouth and was a competent swimmer. Field trialled by Bernice McGee, she gained her Stud Book number. Bernice worked her regularly on local shoots with her longhaired Weimaraner Mace. Unfortunately Bernice passed away.but I kept my promise to her to look after Mara. She continued on two local shoots and even managed a field award just days after coming to stay. 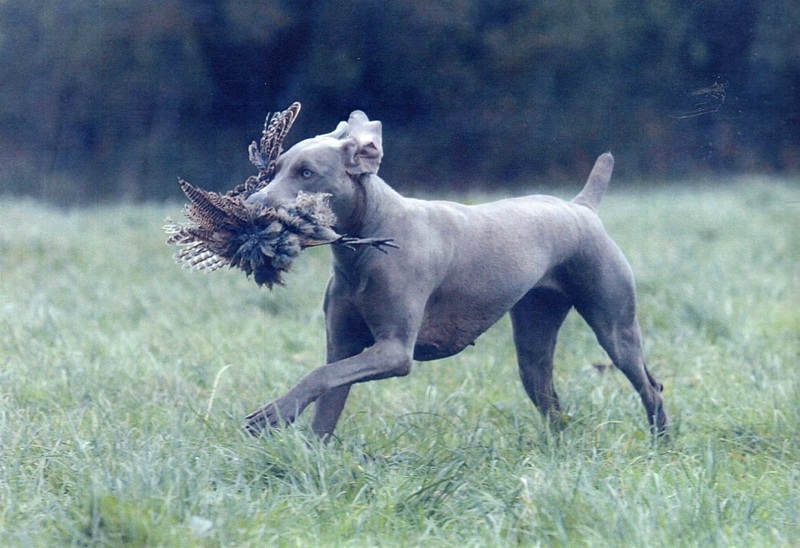 She produced 2 litters, one of which was to Bernice's Longhaired Weimaraner Mace. 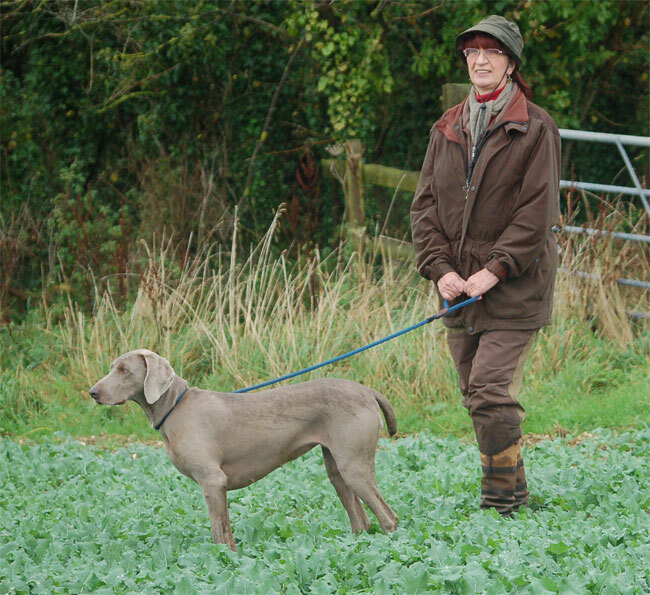 One of her offspring Luna owned by Lisa Baker is the youngest Weimaraner to be graded at a Spring Pointing Test. She was graded good on Partridge at 71/2 months old.